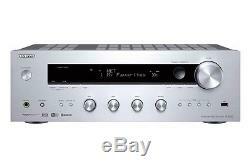 ONKYO Network stereo receiver Hi-Res sound TX-8150 Silver from Japan New. Light x 2, Coaxial x 2, USB terminal x 1. W 435 x H 149 x D 328 mm. Language / Japanese Power supply : AC100v, 50 / 60Hz Caution : The use requires a transformer. The item "ONKYO Network stereo receiver Hi-Res sound TX-8150 Silver from Japan New" is in sale since Monday, June 6, 2016. 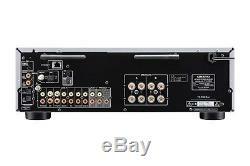 This item is in the category "Consumer Electronics\TV, Video & Home Audio\Home Theater Receivers".r-japan" and is located in Japan. This item can be shipped worldwide.